Isles at Wellington is a wonderful guard gated single family and estate home community located on the south side of Lake Worth Road just west of 441 (SR-7) in Wellington Florida. 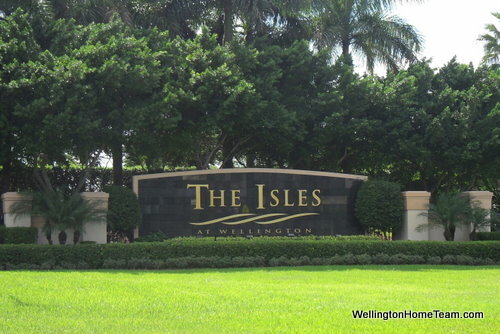 Within the gates of Isles at Wellington sits 758 beautiful homes that were built from 1999 to 2005 with a living square footage ranging from 1,625 to over 5,000 square feet. Isles at Wellington amenities include a clubhouse, swimming pool, fitness center, playground, tennis courts, basketball court, multi-purpose field, game and media room. Visit our community page @ Isles at Wellington in Wellington Florida Real Estate to learn more about the community, view neighborhood pictures, search homes for sale, search homes for rent and view all of the recent home sales. If you are a buyer or seller in the Isles at Wellington real estate market understanding the current market conditions is essential to making an educated decision when writing an offer on a home for sale in Isles at Wellington or accepting an offer on your Isles at Wellington home listed for sale. If you are looking to SELL, BUY or RENT a home in Isles at Wellington the Wellington Home Team can help! SELLING: Do you want to sell your Isles at Wellington home in Wellington Florida? 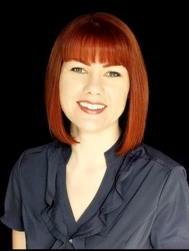 If you are thinking about selling your home and want to know the value you can find out @ What's my Isles at Wellington in Wellington Home Worth? or call us @ 561.333.0446 for a free on line or in home market analysis. You can also take a sneak peek at some of the marketing we do to get top dollar for your Isles at Wellington home in the shortest amount of time @ Marketing your Isles at Wellington Home. If you are upside down and owe more than your home is worth, but need to sell you may have options to avoid foreclosure, such as short selling your Isles at Wellington home. BUYING: Are you looking to buy a home in Isles at Wellington Wellington Florida? Let us do the searching for you by filling out our Online Buyer Questionnaire. Once received we will do a custom home search based on your needs and then e-mail you a list of Isles at Wellington home for sale in Wellington Florida. LANDLORDS: Do you need to list your Isles at Wellington home for rent in Wellington Florida? Visit our Landlord Resource Center to find out the Steps to Listing your Isles at Wellington Home for Rent. Here, you will also be able to find out how much your home will rent for, take a peak at our Rental Marketing Plan and learn more about our Tenant Screening Process. TENANTS: Are you looking to rent a home in Isles at Wellington Wellington Florida? Receive a list of available homes for rent in Isles at Wellington by filling out our Online Rental Questionnaire. Once completed we will do a custom MLS home search and e-mail a list of homes that fit your needs. Learn more about the rental process @ 9 Steps to Renting a Home in Isles at Wellington and Rental Tips and Expectations. Contact the Wellington Home Team @ 561.333.0446 or Contact@WellingtonHomeTeam.com for all of your Isles at Wellington Wellington Florida Real Estate needs.